Garages have become an integral part of daily life in America. Many of us use our garage for a variety of purposes: storing our vehicles, working on projects, storing household items, and more. Some of America’s most successful companies got their start in garages. Many of our favorite bands launched their careers from garages. Most people use our garage as the door to our homes, so it is hard to image a time when garages did not come standard with houses. In fact, today’s modern garages are a far cry from their predecessors of the early 1900’s. Do you know how garages came about in America? It all started with one incredible invention: the automobile. The start of the 20th century brought with it some amazing advances in technology. Most importantly, the automobile started to gain popularity. At first cars were only available to society’s elite, those who could afford the expensive inventions. Wealthy car owners soon realized that they needed a place to store their vehicles to protect them from the elements. Fortunately, automobile owners quickly realized that carriage houses, once used to house horses, buggies, and horse travel paraphernalia, could be easily repurposed. Entrepreneurs and those who owned carriage houses saw a great business opportunity. They opened their repurposed carriage houses to the public, and anyone who owned a car was able to rent a space in the house for somewhere around $15 to $20 per month. Renters got a reserved space in the carriage house, which was heated, cleaned, and maintained by the owner. These early ‘parking garages’ solved the problem for a while, but issues arose over time. Some of the carriage houses repurposed to store vehicles still had livestock housed within them as well. As you can image, over time, vehicle owners started to notice that their prized possessions started to smell like animal manure, so they sought an alternative. Additionally, as cars soared in popularity in America, and became more affordable to everyone, it became apparent that more storage needed to be available and accessible to everyone. Thus the garage was born. Derived from the French word “garer” which means “to store,” early American garages were quite basic. Modeled after the carriage houses of the past, homeowners built shed like buildings called garages to store their vehicles. In 1908, the famous Sears Roebuck & Company saw the need for convenient automobile storage and developed a portable garage that could be set up anywhere. At first, the portable garage was popular with automobile owners that did not have a carriage house or newly built garage on their property. With the passing of the Federal Road Act of 1916 and the Federal Highway Act of 1921, however, cars exploded in popularity. It became apparent that cars were to be a fixture of American life, and Americans quickly started building or purchasing storage solutions for their cars. Early American garages were basically sheds, with a barn door that could be swung open and closed. The structures worked to store vehicles, though they did very little to keep the cars warm, and were difficult to maintain. Opening and closing such a big door each day lead to ware and tear, and if snow was on the ground, swinging the door open was nearly impossible. Sliding doors were invented in the early 1920’s, and while those definitely were an upgrade, having a sliding door in place meant the garage needed to be twice the size of the door so it could slide open and closed. 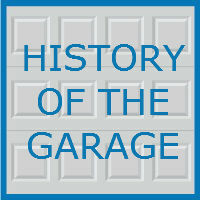 In 1921 the overhead garage door was invented by C.G. Johnson. Five years after that, in 1926, Johnson invented the first electric garage door opener meant to help those who had trouble lifting their heavy doors. The invention took off, and soon every car owner in America wanted a garage with an overhead electric garage door opener. At the start of the 1940’s, architects and home designers started incorporating the garage into home design. Americans wanted a functional garage that also looked nice. At that point, many garages were being built attached to homes that allowed entry to and from the garage from the home. American’s wanted convenience and style. Contractors built garages in a variety of styles; Mediterranean, Old English, Colonial, French, and Craftsman were among the most popular. As the American economy grew, so did the size of American garages. By the 1960’s, the average family could afford more than one vehicle, so garages expanded. In fact, during this time, the average American garage accounted for an incredible 45 percent of the square footage of the entire home. Today, more than 82 million homes in America include a garage. Over 79 percent of homes have at least a single car garage. Seventeen percent of recently built homes have three-car garages. Most Americans report using their garage as the entryway to their homes, and they do not just use their garages for storage. Eighty-five percent of homeowners report using their garage for other purposes. Garages have been transformed into studios, apartments work spaces, and man caves, and some of the world’s biggest companies like Google and Nike were born in garages.As history tends to repeat itself, we have even seen some modern garages being built to replicate the carriage houses of the past. No matter what your taste and budget, there is a perfect garage for you. At Blue Sky Builders, our expert team is available to assist with whatever garage related project you are tackling. 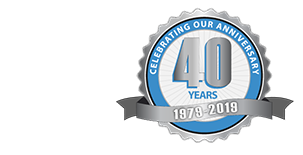 Whether it’s building a new garage or simply remodeling your existing structure, our experts have years of combined experience and are here to help. Contact Blue Sky Builders online or at 630-852-8485 to speak to one of our team members about your next project today.